The timing in which you draw your savings is important. If you draw your savings too early, this is likely to result in lower returns and lower lifetime income. But drawings savings later may not always result in higher returns, this all depends on how you use your savings and what you invest in. A lot of people withdraw capital from their savings pension, not because they need it yet, but because they can. This is an unwise move, as they just end up retaining it in a less tax-efficient environment. However, meeting income needs from capital could be extremely efficient and may even be necessary. You may have to make choices between generating income now, or providing for your future. It is possible you might continue earning some income through retirement via paid work, business ventures or even profitable hobbies. Your income needs can vary over time, with some expenses being fixed, whilst others vary. And you need to take into consideration that long-term care can prove expensive. Your income preferences are also important – having a known stable income source may be more ideal to you than having a higher but less stable income. Sometimes generating excess income can be inefficient from a tax perspective. This is the difference between relative safety and taking a risk with the goal of achieving growth. Your attitude towards risk may change the more you accumulate wealth and grow older as you potentially have more to lose. But you can never completely get rid of the risk factor, even with cash or an annuity. How can I protect against the effect of inflation? Is my plan going to effective in leaving a financial legacy? What is my life expectancy, and how much money will I need/have to achieve my retirement plans? Could my income and capital needs change in the future? How much money would my spouse/partner need if I were to die before them? These are just some of the key aspects worth thinking about when it comes to retirement decisions. 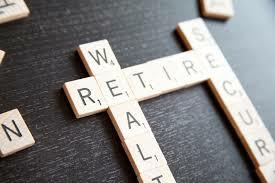 Whatever life stage you are at, it is important for you to receive the right financial advice. For more financial info and tips, follow us on twitter @MACFinancial.